Now that the end of the year is approaching, the search is on for the perfect spot to ring out the last moments of 2018. Well, let Novotel Bangkok Platinum Pratunam make the choice of your new year party venue an easy one! With our expert party planners, any kind of get-together becomes a success—be it a company party, client thank-you or even a casual shindig with friends! 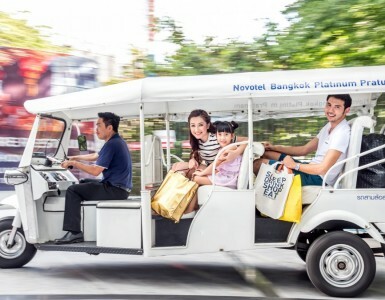 Firstly, location is everything at Novotel Bangkok Platinum Pratunam. Public transit links such as nearby BTS Skytrain stations make getting around Bangkok a breeze, you can even hop on the nearest boat ferry and alight at Pratunam pier if you want to really beat the Bangkok traffic! Your party becomes our mission. Is it that perfect company party to say thank you to your valued staff or connect with your important corporate accounts? Our event planners and talented chefs and bartending team are ready to create the perfect menu to make it a great event! Are you looking for the congenial vibe of our private dining room in The Square Restaurant on the 6th Floor? 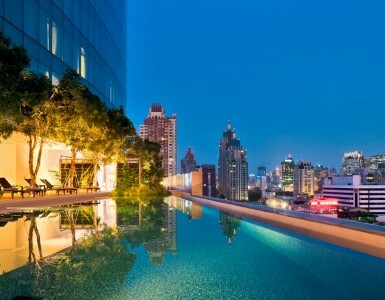 Or is it a rooftop-hideaway celebration with canapés, cocktails and a stunning view of Bangkok’s nightly skyline at BAR9 Beer Garden on the 9th Floor? We’re here to make it happen. Countdown to a fantastic new year! And on the very last day of the year, Novotel Bangkok Platinum Pratunam reveals itself as one of the best places to view the fireworks in Bangkok. Forget the press of the crowds in front of CentralWorld— at BAR9, you can enjoy a bird’s eye-view of that irrepressible new year’s vibe below while having enough room to sip your cocktail and savor our tasty finger foods as you countdown in style. Once the clock strikes midnight and the evening sky is painted in the sparkle of Bangkok’s best fireworks, you will be in the center of it all. For all this and more, make Novotel Bangkok Platinum Pratunam your choice for new year party venue!